Chili peppers are an ideal crop for small and part-time farmers in many locations. The leading producers of chili peppers are China and India, with the U.S typically coming in at fifth or sixth in terms of global volume. On the domestic front, California leads the pack in chili pepper production. The main areas of cultivation are the southern coastal and desert valley regions, and the central coast and central valley areas, including Monterey County. 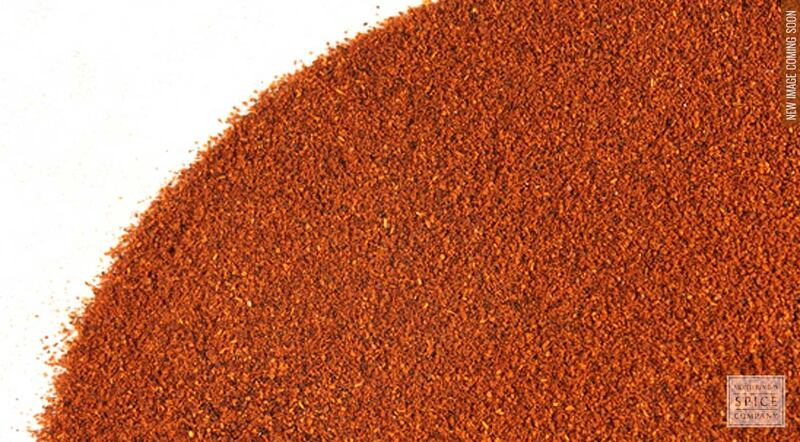 why buy powdered californian chili pepper? 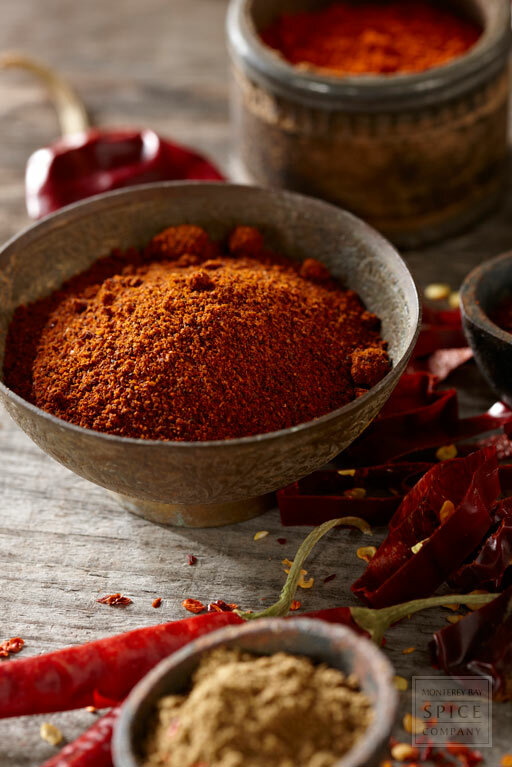 Lends exceptional color and spice to cooked foods. storage tips Store in an airtight container free of direct light, heat and moisture. appearance & aroma Bright red powder with no noticeable aroma until subjected to heat. In the Scoville Heat Unit Scale M means thousands, and the HU is short for Heat Units, which measure the amount of capsaicin the pepper contains. culinary Add to soups, stews, braised foods, dressings and other foods. wellness May be encapsulated as a dietary supplement. industrial Used in the pharmaceutical industry in the production of topical ointments and salves to reduce inflammation. 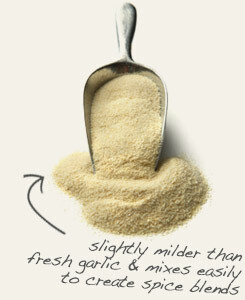 Combine with garlic powder to season dressings and sauces, or blend with butter for a garlic toast spread. 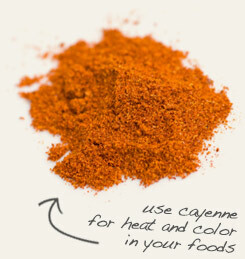 Turn up the heat in Creole and Cajun dishes with a pinch of cayenne, a chili pepper cousin. Pairs well with rice, beans, beef, poultry, onion, tomato, garlic, oregano, thyme and other seasonings. Chili peppers are indigenous to the Americas. Although these members of the nightshade family were only introduced to the rest of the world via Asia by Portuguese sailors in the 16th century, numerous cultivars have been developed since that time, each with a different level of heat. So, while you might feel a certain thrill or rush of excitement at first bite, the increased level of circulating endorphins help your body to copy with the stress. In fact, while you’re cooling down, the “feel good” sensation that results is likely to encourage you to take another bite. Background: The majority of plants the capsicum family are grown solely for culinary use, the benefits of the active constituent, capsaicin, are available through dietary inclusion. Birds, unaffected by the heat of the fruits, have spread the seeds widely, as has human use and commerce. 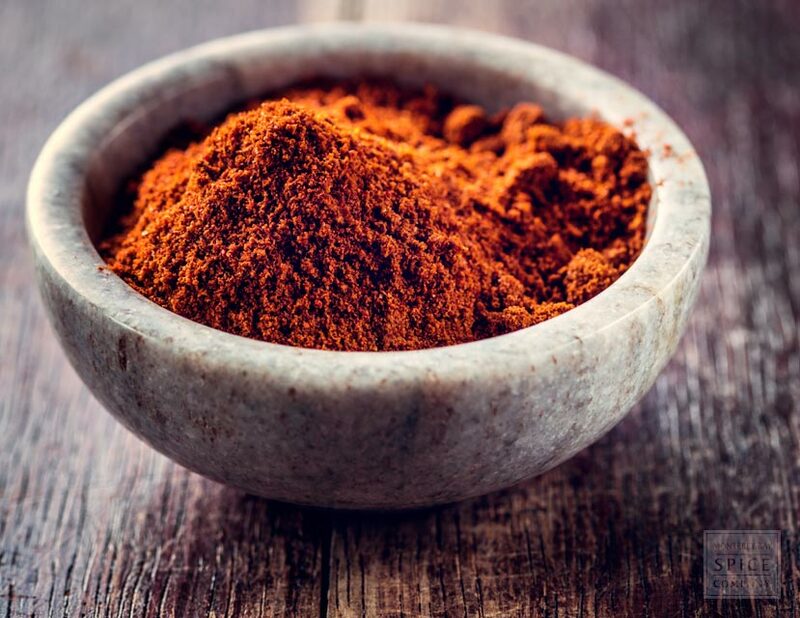 The temporary pain caused by capsaicin stimulates the brain to produce endorphins, natural opioids which act as analgesics and produce a sense of well-being. Europeans, introduced to the plant upon their arrival in the New World, misnamed the fruit, confusing it because of its hotness with peppers from India. The burning sensation in Piper nigrum, peppercorn, is caused by piperine. Valued highly as a food the fruit of Capsicum has been propagated far and wide for many centuries. The plant has its origins in the Americas. Description: The color range in chilis is related to ripeness. Green at first, they ripen to yellow and then turn red. Red chilis contain higher amounts of vitamin C and vitamin A, vitamin B, vitamin B6, potassium, magnesium and iron. Safety:There is no negative information available for this herb.